Ways To Be Healthy can also contribute to our overall happiness. It’s no wonder then that our health is so vitally important. And fortunately, you won’t need to spend lots of money in order to be healthy. In fact, using natural materials can lead to a healthier life. If it seems impossible that our health can be achieved and maintained cheaply then keep reading for some great tips that are affordable as well as easy. Whether it is a direct smoke or a second hand smoke and even the third hand smoke, none are good for you. Cigarette smoke contains about 70 chemicals that are cancer causing. For that reason, avoiding it will really be of great help in living a healthy life. Watch your diet. Eating the right amount of foods and eating meals and snacks at proper intervals can go a long way in maintaining a balanced weight. Therefore, obesity and overweight can be avoided. So, having a proper routine of eating foods and a plate that is not full is encouraged. Another tip is to use smaller plates as opposed to a larger one. We seem to have a tendency to expect and appreciate a full plate of food. Therefore, the bigger the plate the more we are likely to eat. Fruits and Vegetables Eating. The guidelines recommend that eating at least five portions of vegetables as well as fruits within a day is best. This is almost equivalent to 80g. Thus, having an apple, banana or orange on your diet will help. Of course, don’t forget the veggies. Move. If your work requires you to sit for 8 hours a day, then find a way to do some stretching and walking from time to time since sedentary work won’t give you any help in being healthy. Ideally you will take frequent short breaks to stretch and walk. Make a habit of this in order to burn calories and get better blood circulation. If you can have an active lifestyle, all the better. Take the stairs instead of the elevator and park at the furthest point from entrances to buildings. Consider giving up your remote. These little things can add up to a lot over time and help to improve your health. Exercise. 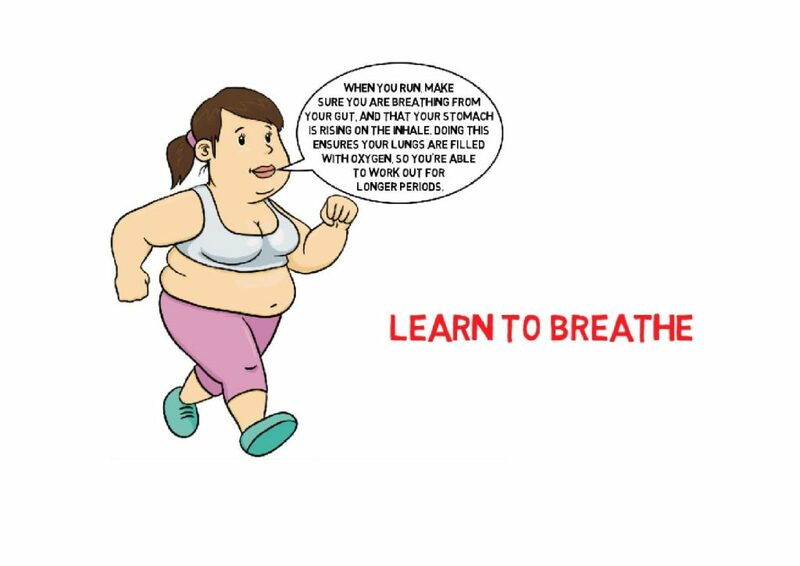 Exercising helps by keeping the body in shape and helping to eliminate fats in the body. Exercise also helps in improving the heart and lungs condition, thus being always on the move is encouraged. So, go out to the gym and hit the treadmill. You can also go to the park and run or walk for 30 mins a day. Drink Healthy. Always be mindful of whatever you are drinking. It is recommended that you drink a lot of water to keep youhydratedand to have a nice and glowing skin. Also, drinking semi-skimmed milk as well as fruit juices will be very helpful. On the flip side, drinking alcohol, sodas and softdrinks are really not recommended since they contain of chemicals that are of no good to the body. Be Happy. Being happy elevates your mood thus relieving you from stresses and worries and promoting good health. Thus, smile and be happy. Sabrina Bryan One of Bryan's many roles is to provide information to help educate kids on easy ways to stay healthy through nutrition and keeping active. Schema Therapy coping style might then behave in ways to limit the closeness in the the healthy side or a Detached Protector Mode and the Healthy Adult Mode. In today’s generation, there are a lot of foods and activities that cause the person to be unhealthy. For that reason, we are always happy to find ways that can help us on our road to better health. After all, being healthy and fit means less sickness and a longer life. In addition to that, being healthy can also contribute to our overall happiness. It’s no wonder then that our health is so vitally important. And fortunately, you won’t need to spend lots of money in order to be healthy. In fact, using natural materials can lead to a healthier life. If it seems impossible that our health can be achieved and maintained cheaply then keep reading for some great tips that are affordable as well as easy. Whether it is a direct smoke or a second hand smoke and even the third hand smoke, none are good for you. Cigarette smoke contains about 70 chemicals that are cancer causing. For that reason, avoiding it will really be of great help in living a healthy life. Sabrina Bryan One of Bryan’s many roles is to provide information to help educate kids on easy ways to stay healthy through nutrition and keeping active. Schema Therapy coping style might then behave in ways to limit the closeness in the the healthy side or a Detached Protector Mode and the Healthy Adult Mode.